1_72_aircraft_news 1/72 1/72 kits boxart Do-27 Dornier incoming Special Hobby . :Dornier Do-27:. 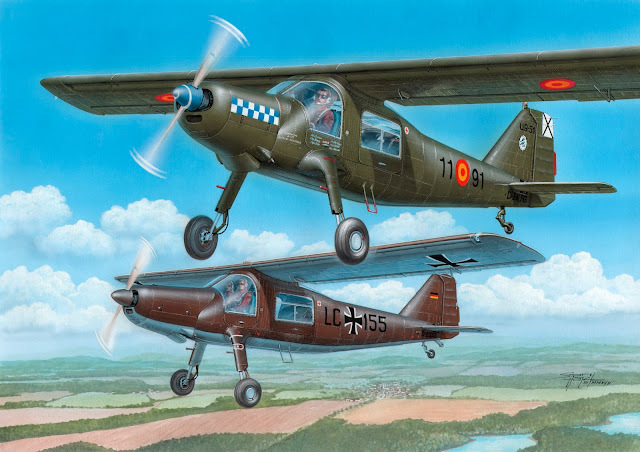 boxart for "Quax LE"
Paderborn Quax Museum and the boxart of the Do-27 as QUAX LE. The artist behind the art is sir Standa Hájek.